Although experimentation involving other human beings has always been a topic that sparks heated debate, the matter of self-experimentation among medical researchers has received much less criticism. Apparently, having the ethical right to do whatever we want with ourselves and our bodies – provided we cause no harm to others in the course of that work – makes things less controversial than using others to do the “dirty” work. After all, every scientist and researcher that respects himself should not subject the participants in the experiment to any procedure they would not be willing to undertake themselves. Right? Despite self-experimentation by medical researchers being in constant decline in recent years, there’s a strong tradition of self-experimentation in the research and scientific fields, with the list of noted scientists testing their own discoveries ahead of introducing them into the “market” being pretty lengthy. 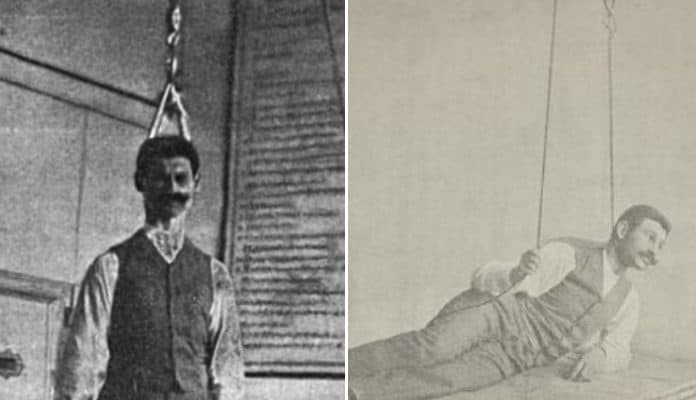 Believe it or not, there have been performed nearly 470 documented instances of this practice during the course of the past 150 years, with some of these experiments being very valuable and shedding new insights into different areas of medicine. Here follow 20 medical researchers whose courage and bravery benefits society to this day. Unfortunately, some of them lost their lives in the name of science while conducting an experiment on themselves. Pierre and Marie Curie are two of the most famous scientists ever. Their contributions such as the discovery of Radium and other key elements help us out every day, especially when getting an x-ray. Smithsonian Magazine. 20. Pierre Curie exposed his arm to Radium for 10 hours in an attempt to find a cancer treatment. Following the separation and purification of radium, the chemical element became available in small quantities for experiments during the early years of the 20th century. In the hands of brilliant scientists, radium laid the foundations of nuclear physics and radiochemistry. Marie Curie had observed that radium chloride could glow in the dark, emitting blue light. Later, it was found that radium mixed with zinc sulfide could emit brighter light, and it was introduced to the common people through wrist watches, alarm clocks, aircraft instrument dials, and anything that needs to be read in the dark. However, the scientific community kept focusing on its medical applications. Pierre Curie was so fascinated by Marie’s work that he joined forces with her. He exposed his arm for 10 hours to the action of radium and ‘to his joy’ as historical accounts mention, a lesion appeared in the form of a burn. Pierre went on collaborating with the best doctors of his time and discovered that radium rays destroyed living cells and certain forms of cancers. The first treatment using radium was reported in 1901 by Henri-Alexandre Danlos, a dermatologist at St. Louis Hospital in Paris, who successfully treated a few cases of lupus with an admixture of radium and barium chloride.